Saw Palm contributor Devin Murphy’s debut novel tells the story of Jacob Koopman, a Dutch boy coming of age in Nazi-occupied Europe. 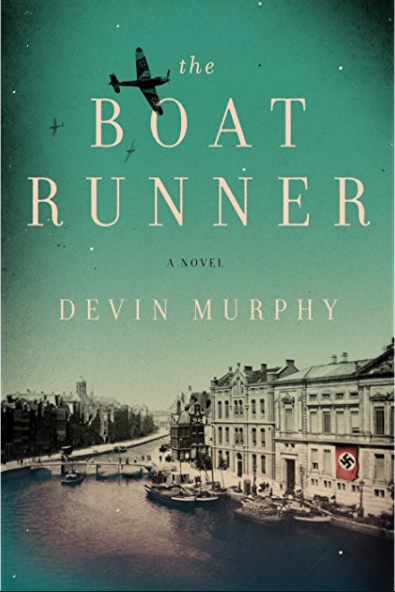 Inspired by Murphy’s own family history, The Boat Runner follows Jacob as he transforms from a teenager caught up in the seductive ideology of Hitler Youth to a young man searching for a purpose in a war-torn world. Fueled by anger and grief, Jacob joins the German Navy, where he is forced to confront the true darkness of both the Third Reich and himself. The Boat Runner asks big, complicated questions: to what extent are we responsible for actions made under duress? Is it possible to be a good person in a world ravaged by war? And how do we move on from tragedy? Murphy tackles these questions with lyrical prose and rich characterizations that will stay with you long after the last shot is fired. The Boat Runner is a story of survival, guilt, and grief, but it still offers a message of hope. From the priests inside the resistance to the refugee smugglers who give the book its title, the novel is filled with ordinary people risking everything to help others. This hope never comes off as overly optimistic or naive. There are no perfect heroes in The Boat Runner. Instead, Murphy offers us a different narrative. As one character puts it, “the incidents we can’t control make us who we are." But that doesn’t mean that there are no ways to fight back against the darkness. Fans of Anthony Doerr’s All the Light We Cannot See and historical literary fiction will love The Boat Runner. You can read Devin Murphy’s short story “In the T.V. Chair at the Belle Glade Greyhound Station” in Saw Palm Issue 11. Visit our contributor's interview with Murphy, too, to learn a little bit more about the author.